ALUPROF REVEALS A NEW WEBSITE | ALUPROF S.A.
Modern look and feel, seamless user experience and increased functionality are the main advantages of the new website. Its content is tailored to the needs of project owners, individual customers and architects. Users will now find all the necessary information about products and helpful tools with considerable ease. The website is also full of industry leading content about the company and its considerable achievements.Aluprof’s new website offers visitors access to Europe’s leading manufacturer of aluminium systems. The company, known throughout Europe, has completed thousands of projects, developed a rich portfolio of products and anabling a number of convenient solutions. Aluprof’s brand new website presents all company information in one easily assessable site. — Aluprof’s Individual approach to focusing on the real needs of its client base is evident in the new website’s design. It’s with this idea in mind that we have designed the new company website. According to our data, it is visited by architects, project owners and individual customers. Each of these groups need different content, and we wanted to make sure they find it on-the-fly. 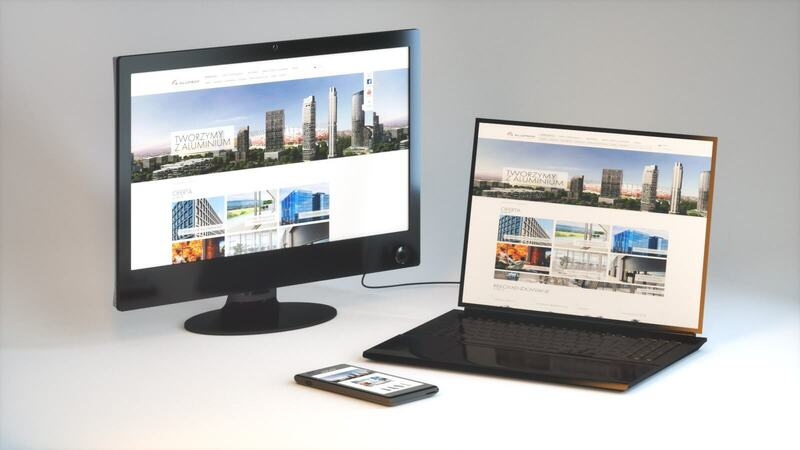 The functionality of the website was equally important as its appearance, hence the fresh and modern look and feel, which also has a significant impact on the reception of the content — says Bożena Ryszka, Head of Marketing & PR at Aluprof S.A.